Tis’ the Season for stoppages in Phoenix - Robins Plumbing Inc. Drain stoppages are more common in the winter in the phoenix area. The team of Robins Plumbing clears thousands of stoppages a year, but did you know that stoppage are more prevalent during the winter months? 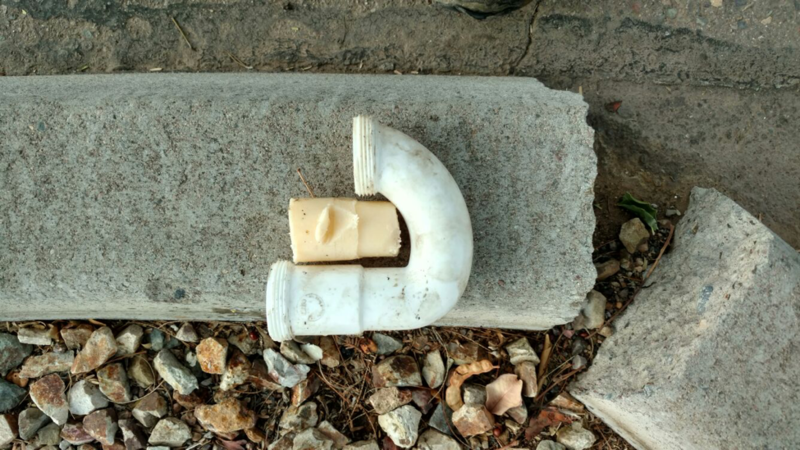 Drain stoppages may seem like a normal occurrence, most of us have experienced a drain clog in our homes, but drain stoppages are often a sign of an underlying problem with your drain or sewer line. Why are drain stoppages more common in the winter months in the Phoenix area? While Phoenix and the surrounding area may not experience snow, we do experience cold weather, and our sewer and water lines are not buried very deep. That cold earth does a great job of chilling our sewer lines, and if your sewer line has grease, sludge and unmentionables stuck the sides, you’re in for a stoppage. Grease and sludge harden and turn solid in the cold, just like lard turns to liquid form when warm and hardens to an almost solid substance when cold, that same exact science applies to the grease and sludge that are lining the inside of your sewer line. The grease and sludge build up that had been soft enough during our 116-degree summer to allow toilet paper and other things to slide by is no longer soft and malleable. Once that grease and sludge harden during the winter it is no longer soft and will no longer allow things to just pass by. What is the solution to a grease stoppage? A cable alone will not clear a grease stoppage from your sewer line. A cable will clear what is stuck in the line, but won’t clear the grease from the sides of your line. Just like a knife in peanut butter, once the knife is removed the peanut butter reforms eventually. The only solution is to clean your plumbing. At Robins Plumbing we provide a service called jetting. 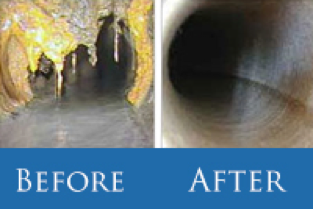 Sewer jetting is a lot like pressure washing, we use specialty equipment with powerful nozzles that go inside your sewer line, and pressure wash the sides of your pipe clearing away grease and sludge that is lining the inside of your sewer pipe.